MERRY CHRISTMAS FROM CLASH OF THE TITLES!! May your days be merry, bright, and filled with Christ's love. Southern Fried Christmas by Marian Merritt. A hearty congratulations to Marian! Thanks to all for showing up and playing with COTT this week. deeper than a Louisiana bayou. The Colorado Rockies have always been home to journalist Kelly Shepherd, but after the death of her father, and facing her first Christmas alone, she accepts an assignment that leads her deep into Louisiana’s Cajun country. Since his wife’s death, Denny Labouve has focused his attention on his ten-year-old daughter and the family business, but Kelly sparks the dying embers of his heart even as a Christmas cold front moves through his beloved Cajun country. Will Denny and Kelly be able to trust God to bridge the span between the Colorado Rockies and the Louisiana bayou? * Wowsers, you're really making me pick between southern fried and saving the world? * They all sound like fun, but the cajun interest won my attention! Good choice of setting Marian. "Marian Merritt is a ‘new to me’ author that has landed straight onto my ‘to buy list’ for subsequent releases. I can’t wait to read more from this talented author who has a beautiful way of capturing scene, setting, and dialogue. 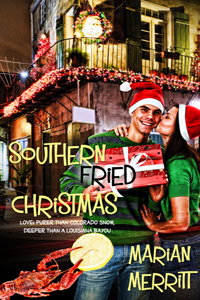 I felt like I was in N’Orleans for Christmas when I read her novella, Southern Fried Christmas (how awesome is that title?!?). Love lost, love found, and starting life anew form the backdrop of the story – and it’s one I highly recommend." Hearts Communion, Hearts Surrender, Hearts Crossing, and a previous COTT champ!! Marian Pellegrin Merritt grew up in a rural community south of New Orleans, Louisiana. Her love for the written word began while sitting on her grandparent’s front porch swing reading books. Her desire to write about the south keeps her grounded in her roots and the hope that one day she can do for someone what many of the authors of her childhood did for her. She has a Bachelor of Science degree in physical therapy and an accounting certificate from the University of South Alabama. She is a member of American Christian Fiction Writers and hones her writing skills by attending writer’s conferences and reading many books on the craft of writing. 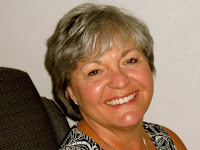 Do you know #Author CJ Clark? CJ Clark is a guest today at The Mustard Seed. She's sharing her thoughts on Christmas. The other day I left the pawn shop with check in hand. I entered the bank to cash it to find a whirlwind of activity. Santa and Mrs. Claus were near the door along with a photographer and an elf. Yes, I am a believer. Like a child, I exclaimed, “Santa! Santa’s here!” And in true form, the best Santa in the world came over to me and gave me a big hug. It was the nicest thing to happen to me in a very long time. Why? It exemplified everything I believe in about Christmas. See, I believe we are meant to be kind to one another. We are to love one another—regardless of color, age, nationality. And not just at Christmas. We should be practicing kindness and love each and every day. Sadly, we have gotten so far away from it. We bustle around irritated with long lines in the stores, filled with fear to speak to a stranger, frantically looking for a bigger and better gift for Uncle Jack this year, impatiently honking our horns at slow drivers, grousing at the clerk who can’t scan your item because the UPC tag was ripped off the item you want. And then, with the recent war on Christianity and the rising cost of electric bills we only see a handful of home displays. Years past many homes decorated outside with crèches, snowmen, angels, wise men, and more. And I applaud those hearty souls who still do so. For even the Bible says we will be tested. If we are not FOR Him, then we are against Him. If we are against Him, how can we still declare we are Christians? You see, I was brought up with the Christmas story. I believe in Jesus. I believe he was a good man who taught life lessons for us all, to make our time on earth one of pleasantness, grace, and peace. And though the world is becoming more violent with each passing day and his life lessons are practiced by only a few, a return to the ideals and virtues He speaks of will bring peace and goodwill amongst us. If only we would practice them everyday of the year. And that is where Santa comes in. Santa is an earthly manifestation of goodness and love. Rather than telling our children “There is no Santa Claus” we should be heralding his name and all he represents. Not so much on the gift-giving, but his personal attributes. Santa didn’t need to hug me. He was there for the little children. But in a moment of a hug, peace, love, and goodwill was transmitted. Christmas may be one of gift-giving, but those gifts should come from the heart. How about biting your tongue when the driver ahead of you doesn’t put the pedal to the metal when the light turns green? How about telling that clerk “Take your time. I’m in no hurry.”? How about passing or bumping into a stranger and rather than “Excuse me” or “Look where you’re going” you laughed and said “Sorry. Have a Merry Christmas.”? How about speaking words of love and encouragement to that spouse you’ve been neglecting? How about not being too busy to listen to your child? To sit quietly with them in your arms letting love flow from you? How about making amends with that sister/brother/mother/father that you’ve estranged yourself from? Rather than being caught up in the commercial hustle and bustle, how about taking an hour out of your time to visit someone in a nursing home? Surprise them with a little gift. Yes, I know, you would be exposing yourself to a stranger. But that stranger may hold just what you need, what you’ve been seeking. That stranger may hold the peace, love and goodwill that you so desperately need. It’s time we opened ourselves up and exposed our hearts and minds. We need to learn to love again. If we could learn to do it at Christmas time may be it wouldn’t be so frightening the rest of the year. And if we all practiced being kinder and more patient perhaps we’d live in a better world. Before you click into another site, let me say this blog is not going to force religion down your throat. But it will bring life changing results to your life. Some of you readers will remember the classic Yes Virginia, There is A Santa Claus which was printed in the New York Sun September 21, 1897.Others will not. But the true essence of Christmas is there in contained. Yes, Virginia, there is a Santa Claus. He exists as certainly as love and generosity and devotion exist, and you know that they abound and give to your life its highest beauty and joy. Alas! how dreary would be the world if there were no Santa Claus! It would be as dreary as if there were no Virginias. There would be no childlike faith then, no poetry, no romance to make tolerable this existence. We should have no enjoyment, except in sense and sight. The external light with which childhood fills the world would be extinguished..
CJ, thank you for sharing with us today. Hope you, your family and everyone else has a very Merry Christmas and Happy New Year! Do you know @JoyLinn, founder of Audacity Dare? Joy, why did you become a non-fiction writer…was it a dream of yours since you were younger or did the desire to write happen later in your life? Becoming a non-fiction writer emerged when I began to keep a journal of personal growth discoveries. I took a television-free year and spent most of my time in reflection, self-assessment and prayer. As I spent this concentrated time, it became very meaningful to me. Even though I chronicled my encounters in a journal, I felt more was needed to bring closure to the experience. That’s when I realized I should write a book. Very inspiring story behind the scenes of your book creation! What was the inspiration for your latest work of non-fiction? When I realized how great I felt living my authentic purpose, I knew I had to teach others how to discover their purpose as well. I shared my practices with friends and co-workers and they were inspired. Then I thought what if everyone knew their purpose and lived a fulfilling life? What if everyone could have a sense of balance, clarity, and wholeness in their lives? I had to share this with the world! Since my book is about personal growth, I have to say, the most interesting research was being my own research project. Everything I share in the book comes from my personal journey. My times of reflection presented me with a mirror to view myself. I discovered that at times, I have been a spoiled brat. For instance, the ups and downs I experienced while transitioning from a life of “luxury”, to a life of simplicity, were not easy. As I fought against my own bad habits I was very much like Dr. Jekyll and Mr. Hyde. But I refused to let my wavering keep me from continuing on the right path. I remained vigilant to pick apart my poor decisions and salvage the lessons. I also continued to sift through my failures to unearth the message in the madness. Each day I became stronger, and more whole. I love your candor. How do you go from an idea for a book to its completion? Is the process the same for every book you write? How long does it take you to write a book? Ideas for my books usually come during my times of reflection. I also jot notes as thoughts come to me throughout the day, or even in the middle of the night. I add all of these things to my ideas folder and come back to it periodically to see what’s brewing. Once there is enough to build a strong outline, and I have a deep sense of connection to the material, I begin the writing process. Even with the outline complete I must write in order to receive more of an understanding of my direction for the book. The outline may change as I gain more insight. I usually research as I go. Some days are spent in reflection on a single concept, other days are pure research, and some of the best days are spent solely writing. As long as I am consistently working toward my goal, I am satisfied. I do not set hard deadlines for myself until I complete the first draft of my manuscript. All in all it usually takes me about 8 months to move from idea to final manuscript. I am currently working on the first book in the Purpose Deck, a series of 12 purse-sized/pocket-sized books geared toward living out purpose day-by-day. The first of this series is entitled, The 14 Day Positive Attitude Challenge. It is now available...a perfect companion to your new year’s resolutions! My advice for those who wish to write a non-fiction book is to write on a topic that resonates deeply with you. Think about what has had a great impact on your life that you can share with others. Always keep a pen and paper around (or a voice recorder) so that when you have thoughts and ideas you can capture them. Even if they seem like incomplete thoughts, write them down anyway, and file them. You may find that a few weeks or months of your seemingly incoherent written reflections suddenly become profound when strung together. Lastly, be disciplined and consistent in spending the time to write, but do not rush. Allow the time required for your book idea to emerge from your soul. An important part of promoting your book will be to have a deep-seated passion to share your ideas with others. The promotion of your book should not focus purely on getting sales. It should focus on helping others in some way – adding value to the lives of others. Think about your original purpose for writing the book. What are the authentic outcomes you would like to see in the world because your book was written? Promotion of a nonfiction book is about sharing meaning. Some great tips! What’s your writing schedule like? When do you find time to write? It never fails, when I try to “find” time to write, that time rarely comes. So I’ve decided to make writing important enough that it is an unbreakable appointment on my schedule. However, my schedule varies with the season. For instance, if I have recently published a book, I may not have an extremely active writing schedule during that time. But about six weeks after a book launch, I begin to write again, at least weekly. I’m not a big proponent of waiting for the inspiration to write. I believe that when I discipline myself to write consistently, inspiration comes. The closer I come to completion of a manuscript, the more time I allot in my schedule for writing. I agree that it takes discipline to make the time to write daily, as much as possible. In the end that will benefit you during the times when you're not able to write...while you're doing a bit more marketing. Do you have any writing idiosyncrasies? When I write, I like to imagine myself in Europe – preferably Paris - at a trendy sidewalk café. If I plan to write all day I usually begin with a croissant or bagel at Starbucks (one with outdoor seating of course, for my imagination’s sake). I’ll write for a while and then progress to a well-worn park bench, and finally to one of my favorite local eateries. I have done this so often that I now consider it a part of my writing routine. A bustling yet relaxed atmosphere tends to give me the perfect backdrop for a day of writing. 11. How have your friends and family received your career as an author? Are they supportive? I have been thrilled by the response of my family and friends regarding my career as an author. 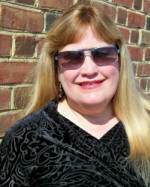 They have supported me with encouragement and prayer, as well as with proud enthusiasm to promote my books to others. I really was not expecting the level of commitment and dedication that they have expressed. If you are considering writing, or any career you are called to, I think you will find likely and unlikely supporters that will bring unexpected joy to your journey. Can you tell us about The Purpose Experiment? Do you want to understand God’s specific plan for your life, and how to really hear God’s direction? Do you want to know exactly what you were born to do and live a successful life? The Purpose Experiment will take you on an invigorating journey to discover, confirm and activate your true life’s purpose. It will challenge you to embrace the great life of adventure, meaning and mission that you were always meant to live! Joy, thank you for stopping by today to be interviewed. I enjoyed chatting with you and learning more about you and your new book. If you'd like to be entered for a chance to win a copy of Joy's book, please join the conversation and comment on today's post. Cassandra Bainbridge may be a bit of a bluestocking, but when Geoffrey Giles is near, love seems a fine alternative to passion for Greek and the physics of flight. With his dashing good looks and undying devotion to her, the Earl of Whittaker sets Cassandra’s heart racing with his very presence. It seems his only flaw is his distaste for ballooning, the obsession that consumes so much of her thoughts. I love Laurie Alice's deft use of craft and I love her spunky (though not anachronistic!) heroines. 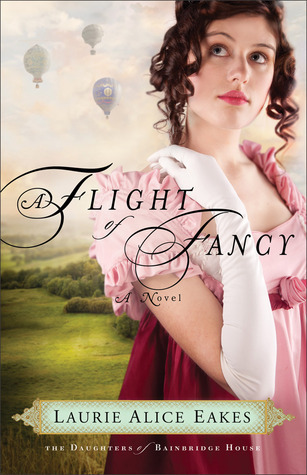 All the books sound great, but I've read Flight of Fancy, and it's a wonderful story. Title is adorable. Very creative. Keep writing! I love reading and love your books. Love this book! It's one of Eakes's best. Every book I've ever read by Laurie Alice Eakes, I've loved. Bestselling, award-winning author Laurie Alice Eakes used to lie in bed as a child telling herself stories so she didn’t wake anyone else up. Sometimes she shared her stories with others; thus, when she decided to be a writer, she surprised no one. Family Guardian, her first book, won the National Readers Choice Award for Best Regency in 2007. In the past three years, she has sold six books to Baker/Revell, five of which are set during the Regency time period, five books to Barbour Publishing, as well as two novellas to Barbour Publishing and one to Baker/Revell. Seven of her books have been picked up by Thorndike Press for large print publication, and Lady in the Mist, her first book with Revell, was chosen for hardcover publication with Crossings Bookclub. 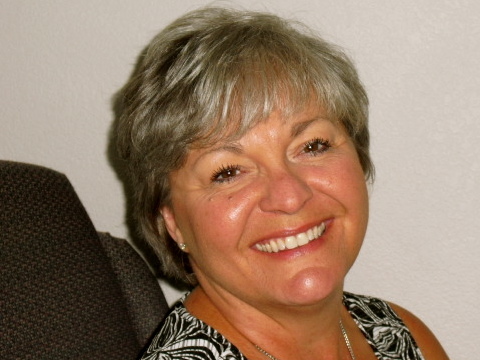 She also teaches on-line writing courses and enjoys a speaking ministry that takes her from the Gulf Coast to the East Coast. http://www.booksamillion.com/p/Flight-Fancy/Laurie-Alice-Eakes/9780800734671?id=5421536989977 Clash of the Titles Hostess Gail Pallotta After a career as an editor and article writer Gail started to follow her dream of writing fiction. In 2004 the American Christian Writers Association named her a regional writer of the year. In 2010 an excerpt from Love Turns the Tide, her first romance, won the Clash of the Titles Challenge in the best nature / weather scene category. She published her first short story, “Lifeline,” in Splickety Magazine in January 2012. When she isn’t writing, she loves to bargain shop with her daughter, swim, read and visit with friends and family, especially at the beach. To soldier-of-fortune Jeb Sledge it seems like a simple job: Rescue an heiress and her journalist friend Kristin Halvorsen from their kidnapping by Colombian guerrillas and collect a sizable paycheck. But Kristin has other plans. After stumbling onto a mass of dead bodies, she won’t leave Colombia without the proof she needs for the story of a lifetime. While she and Jeb wrangle over her obstinacy, they discover a hidden factory where the guerrillas build a new and deadly type chemical weapon for the international black market. Their discovery triggers a raid on the factory, followed by a desperate search through the Caribbean and the U.S. to prevent a catastrophic attack by weapons the factory has produced. But who is behind that attack, and what are the planned targets? Finding out brings Jeb and Kristin again into peril for their lives and leads them both into an unexpected spiritual Odyssey. Sounds good to us! Want to take a peek? 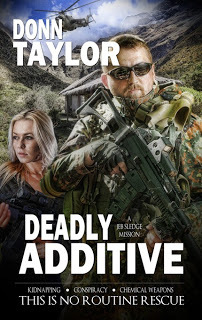 Preview Deadly Additive and other suspense novels on Donn’s Web site: www.donntaylor.com. Donn Taylor led an Infantry rifle platoon in the Korean War, served with Army aviation in Vietnam, and worked with air reconnaissance in Europe and Asia. Afterwards, he completed a PhD degree at The University of Texas and taught English literature (especially Renaissance) at two liberal arts colleges. His novels The Lazarus File and Rhapsody in Red have received excellent reviews, and he has also authored Dust and Diamond: Poems of Earth and Beyond. 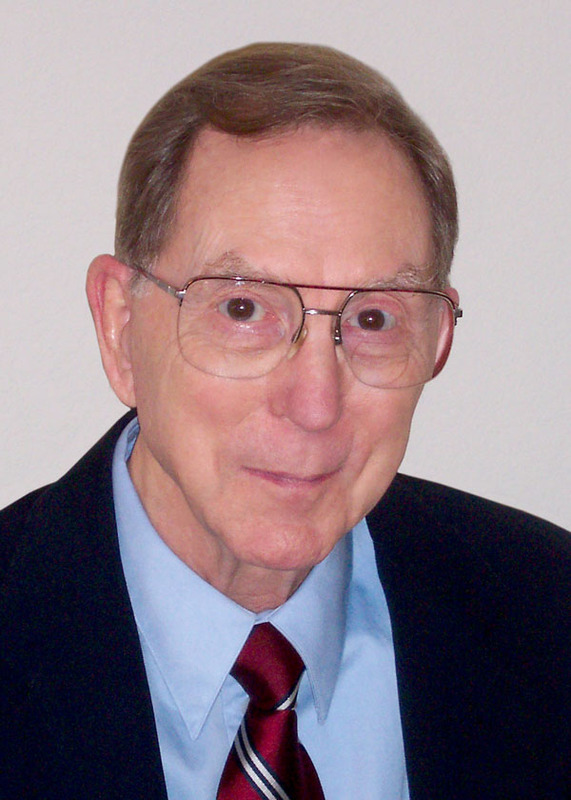 He is a frequent speaker at writers’ conferences such as Glorieta and Blue Ridge. He and his wife live near Houston, Texas, where he continues to write fiction, poetry, and articles on current topics. His Web site is www.donntaylor.com. Clash of the Titles always wants to know what YOU think. Please take a moment to vote for this month's favorite New Release.